The Yogi-turned-Bhogi is showing his true colours. It appears that the leaders of the BJP are implementing the Manusmriti in its letter and spirit. 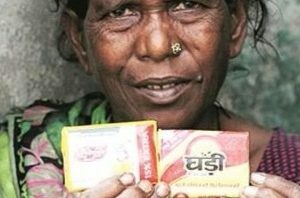 There are news reports stating that soaps and shampoos were distributed among Dalits in a village in UP ahead of the Chief Minister Yogi Adityanath’s visit. The officials who distributed the soaps and shampoos also instructed the Dalits to use the toiletries before they attend the public meeting so that their bodies don’t emit filthy smell. Leave about the filthy smell the Dalit bodies might have emitted had they attended the Yogi’s meeting without bathing, but the obnoxious odour of the activities of the BJP leaders is sure to spread all across the country and make the people nauseate. The actions of the officials, in many ways, are symbolic. Their main intention appears to be showing the Dalits their true place in the Hindu society. Human bodies, irrespective of the caste and community they were born into, invariably emit foul smell if they don’t bath. It appears, however, the BJP people, who mostly constitute the caste Hindus, are still under the impression that milk, instead of blood, is flowing in their veins, and therefore, their bodies always emit fragrance. They might also be feeling that, Dalits, by nature, are unhygienic and don’t bath at all. The Chief Minister, being a caste Hindu and a Yogi-turned-politician-turned-Bhogi, feels that he is inherently superior to the people whom he was going to meet. First they deprived the Dalits from eating beef, which is a cheap source of protein for them even while the caste Hindus enjoyed the expensive Mutton. In doing so, they might have presumed that, a cow, while being consigned to a butcher’s knife, undergoes ‘extra-intensive’ excruciating pain than a goat. And now, they distributed soaps and shampoos among them presuming that they don’t bath at all, rubbing salt into their age-old wounds of dehumanization and stigma, which they are struggling to leave behind to this day. The BJP leaders should realize the fact that the people are watching their actions very closely. First they said Hindi-Hindu-Hindustan. Now, it appears that, they covertly changed their strategy to Hindi-Caste Hindus-Hindustan. Next what? Sanskrit-Brahmins-Aryavarta? This entry was posted in Society and tagged dalits, hygiene, Yogi on May 29, 2017 by Dr. Ramachandra Reddy.